At Joe Isaacson Dental, our team always strives to catch and treat dental damage in the earliest stages possible – in fact, we’d prefer to stop it before it ever gets the chance to start in the first place! That’s why Dr. Isaacson places such a large emphasis on the importance of preventive dentistry, such as dedicated professional dental checkups and cleanings. This approach can potentially save your family a great deal of cost, time, and headaches over the years, so don’t hesitate to contact us today in OKC if it’s been more than six months since your last visit to the dentist’s office. Why Choose Joe Isaacson Dental for Preventive Dentistry? Even if you brush and floss diligently at home, dental problems can still develop in subtle ways that may go unnoticed by untrained eyes. That’s why regularly visiting a trusted dentist can make all the difference for your smile’s health and longevity. During checkups and cleanings, Dr. Isaacson will take the time to understand every aspect of your oral health, from the teeth to the gums to the jaw and beyond. Any concerning symptoms will be pinpointed and addressed with a custom treatment plan as soon as they appear. 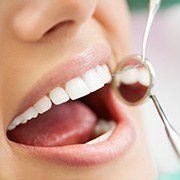 Additionally, an in-depth cleaning with one of our talented hygienists will cleanse decay-causing plaque and tartar from the oral surfaces, helping teeth remain strong and vibrant. Oral cancer is a dangerous and even deadly disease that is sadly often not diagnosed in patients until it’s already reached advanced stages. Thankfully, Dr. Isaacson can serve as your first line of defense here in Oklahoma City. 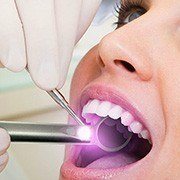 He will perform a dedicated oral cancer screening during every checkup, inspecting the oral tissue for suspicious signs of lumps, slow-healing sores, or discoloration. A biopsy will be recommended if we locate any cells that seem potentially cancerous or pre-cancerous in nature. Teeth grinding (also known as “bruxism”) is a common bad habit that plagues patients from all age groups, many of whom are completely unaware of the damage they’re causing to their smiles because they only experience the condition while asleep. 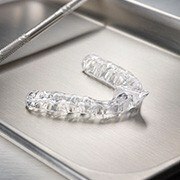 Dr. Isaacson is very sensitive to the tell-tale signs of bruxism, and he can provide a customized nightguard as an effective solution. This oral appliance will establish a sturdy barrier between the rows of teeth and minimize the risk of unconscious harmful contact.